The 14th annual Central Florida Earth Day will be held on Saturday, April 20, 2019 from 10:00 a.m. to 6:00 p.m. at Lake Eola Park. This is the 49th anniversary of Earth Day! Also please join us for the 14th annual Central Florida Veg Fest on October 26, 2019 at Orlando Festival Park near downtown Orlando. Both events are organized by Vegetarians of Central Florida. Watch this page for continual updates on Central Florida Earth Day. Lots of exciting things will be happening leading up to April 20! Earth Day is a FREE event! Rain or shine! Earth Day is a family-friendly, dog-friendly, alcohol-free, and smoke-free event. So far hundreds of sponsors, vendors, and contributors have committed to participating in Earth Day, with more signing up every day! — Solar power fulfills almost all of the electrical needs of the festival. — Recycling and composting bins are provided for patrons. — Patrons are encouraged to bring their own reusable containers and cutlery. — Food vendors are asked to use compostable/biodegradable materials. — Exhibitors are asked to use recyclable packaging. — Other recycling opportunities are provided at the event. FIND OUT ABOUT MORE EVENTS! If you need a place to stay for the event, official Earth Day hotel Crowne Plaza Orlando-Downtown is your best bet. Go to the Lodging page for more info. Veg Fest is hosted by Jenna Bardroff and Kevin Layton of Jungle Sponsor Solutionary Events, Julie Watkins of Garden Sponsor The Girls Gone Green, and Imari Spigner of Garden Sponsor Noor XVII. Solutionary Events is a 501(c)(3) non-profit organization committed to creating a healthy, compassionate, and regenerative world through leading educational and socially responsible vegan events all throughout the state of Florida and beyond. Events include festivals, walks/races, workshops, concerts, school programs, summer camps, beach/park cleanups, film screenings, and other educational outreach events. Learn more about their mission at www.solutionaryevents.com. Like Solutionary Events, The Girls Gone Green also coordinate many amazing vegan, eco-friendly events throughout the year, including Northeast Florida Veg Fest and No Meat March! Learn more at www.thegirlsgonegreen.com. Noor 17 is a vegan modeling and talent network that specializes in hosting mixers, photoshoots, and fashion shows! Learn more at www.facebook.com/NoorXVII. Listen for continual announcements throughout the day by Kevin Layton of Jungle Sponsor Solutionary Events and Royce Ashcroft of Garden Sponsor Noor XVII. Look for Earth Day promotions in several issues of Earth Sponsor Orlando Weekly. The Earth Day Info Guide will be printed in the Orlando Weekly on April 17 and several other Earth Day ads will be featured. Look for Earth Day print and online ads in Jungle Sponsor Orlando Sentinel Media Group featuring Jungle Sponsor OUC The Reliable One. Listen for Earth Day promotions on Jungle Sponsor Magic 107.7. Look for Earth Day promotions in the March and April issues of Garden Sponsor Natural Awakenings Magazine. Look for Earth Day online promotions on Garden Sponsor Asia Trend. Look for Earth Day promotions in April issues of Watermark. Watch for Earth Day promotions on WUCF. Listen for Earth Day promotions on WMFE. Look for Earth Day billboard ads all over town. Thanks to all of our media sponsors and vendors for promoting Earth Day! Thanks to Sir Speedy Orlando, the official printer of Earth Day, for printing Earth Day promotional materials. Thanks to Kristen Baker of Sketchbook by Kristen for the terrific Earth Day artwork. It will be on T-shirts available at the event. Thanks to Chris Baranyi of Chris Baranyi Sound for presenting the band music stage, to Rhenn Cahoe of Rahoe Productions & Representation for presenting the acoustic music stage, and to Anthony Rouhana of The Anthologists for coordinating the musical acts at both stages. 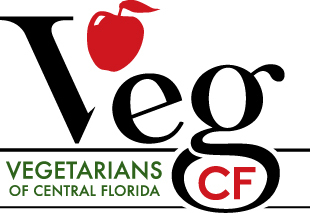 Water Stations: In order to minimize use of disposable plastic containers, water at Central Florida Earth Day is provided exclusively by Earth Sponsor Vegetarians of Central Florida for free. There will be four water stations placed strategically throughout the park. You can bring your own container, take a small paper cup, or buy a reusable water bottle at Earth Day Central. The water itself is free to the public and is filtered potable water. See the map for locations. Waste Stations: In addition to the permanent trash and recycling containers around Lake Eola Park, look for four waste stations around the event with containers for 1.) compost/food waste, 2.) recyclable waste, and 3.) trash waste. Please bring all waste to the waste stations which will be under tents. The following local non-profit organizations are graciously managing the stations throughout the event: Fleet Farming, Green Party of Central Florida, Orlando Permaculture, and Sierra Club Central Florida Group. In addition, Keep Orlando Beautiful has provided all of the blue recycling frames and cardboard trash boxes for the waste stations. And the City of Orlando's Green Works Orlando is supplying multiple composting carts for food waste collection. See the map for locations. Next up is Central Florida Veg Fest on October 26, 2019 at Orlando Festival Park. Stay tuned for more details.